All-sky airglow image taken by the Optical Mesosphere and Thermosphere Imager (OMTI). The emission is from excited oxygen atoms at an altitude of 95 km. A north-south wave structure with a wavelength of ~50 km can be seen in the entire image. 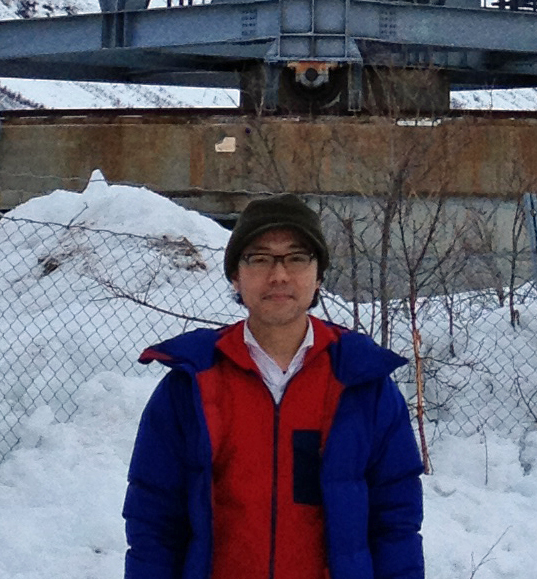 Designated Assistant Professor Shin Suzuki and his coworkers at the Solar-Terrestrial Environment Laboratory, Nagoya University, NorthWest Research Associates, Inc., and National Institute of Information and Communications Technology, have observed and verified that the influence of typhoons reaches the upper atmosphere up to an altitude of 85 km. Their paper was published online in Geophysical Research Letters on November 19, 2013. The upper atmosphere starts 80 km above sea level, which is far above the altitude at which airplanes fly. The region overlaps with the ionosphere; the ionospheric plasma reflects radio waves. This phenomenon is what allows communication between far distant places. When the ionosphere is disturbed, these communication systems may fail, so it is important to study the boundary between the atmosphere and space to predict long-term changes in the atmospheric environment and to make good use of space, such as GPS satellites. Although many scientists have tried to determine what disturbs the upper atmosphere, the influence of the lower atmosphere on the upper atmosphere has not yet been fully explained. 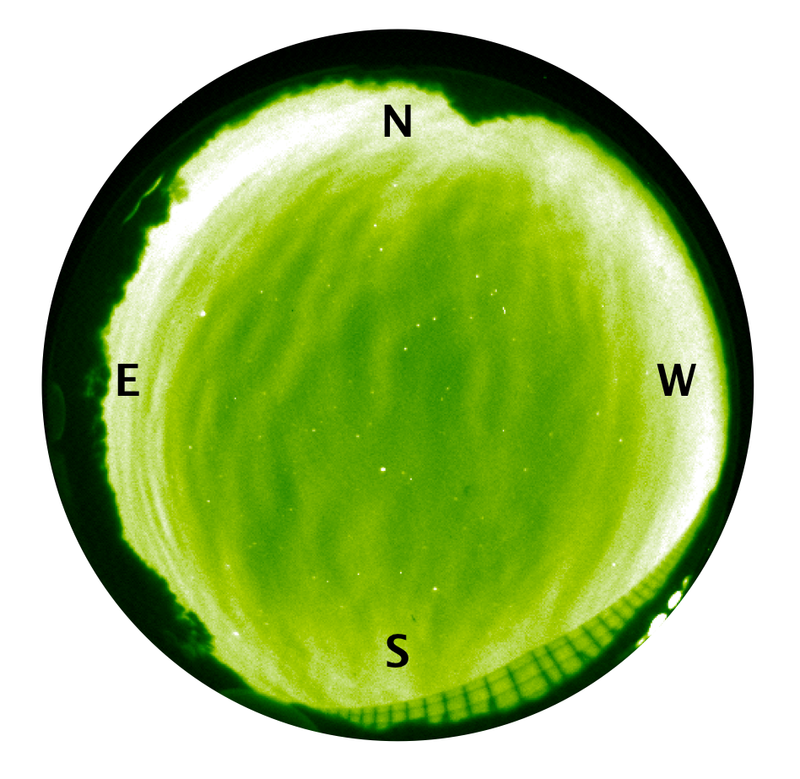 The Solar-Terrestrial Environment Laboratory at Nagoya University has many observatories to monitor and visualize airglow emissions (i.e., weak light in the upper atmosphere) and has been leading the worldwide research effort in this field. Airglow is a phenomenon whereby atoms and molecules glow when they discharge excess energy, and by observing the patterns in the airglow, scientists learn how the air moves. Dr. Suzuki combined observational data of airglow collected simultaneously from different observatories and constructed an analysis environment that covers all of Japan. Using this environment, he discovered a phenomenon on December 10, 2002: concentric rings of atmospheric gravity wave that spread out from a point in the middle of the Pacific Ocean in Southeast Japan. Furthermore, he detected that the center of the rings was Typhoon Pongsona that occurred on December 3, 2002. His research verified that atmospheric oscillations caused by the typhoon influenced the upper atmosphere up to an altitude of 85 km. The evidence also suggests that the gravity waves could reach out into space. Dr. Suzuki's study is widely expected to determine how the upper atmosphere reacts to various phenomena on Earth and contribute to more accurate space-weather forecasts, navigation systems, and network communications. Dr. Suzuki entered academia in the hope that his academic interest might contribute to human well-being, even if only slightly. Currently he is excited by the study of meteolorogical system, the atmospheric environment, and their influence on near-Earth space. The sphere of human activities has expanded into space, science and technology regarding Earth's environment have progressed rapidly. Dr. Suzuki tries not to lose sight of his initial motivation and focuses his efforts on research that is worthwhile in the modern world. "In the past, space and Earth's atmosphere were separately studied, but recent research has revealed their reciprocal relation. It is expected that research into this relationship should progress dramatically in the near future because many countries are launching Earth-observing satellites and financing big research projects, such as the Program of the Antarctic Syowa MST/IS Radar (PANSY) and the ISS-IMAP mission that are led by a Japanese research group,. I try to use various data to comprehensively study the past, present, and future of the Earth's environment." "There are so many missteps in the course of research. You never know what can be a breakthrough. I recommend that you pursue what you are interested in, even if it has nothing to do with your research."